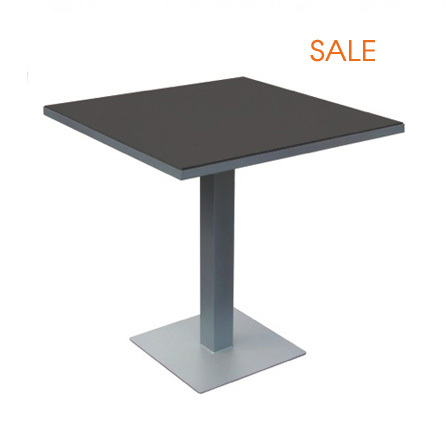 The Etra Large Café Table in this custom finish is designed using structural angle steel that is mitered and ground to create a clean seamless surface that gives Etra its pure appeal. Etra is a full breadth line with dining, bar height, lounge, cafe and pool setting pieces included. See the entire Etra Collection.